Kimberly Woodling is a Licensed Clinical Social Worker, who utilizes insight and emotion-oriented approaches to assist patients experiencing various psychological and social challenges. Kim believes that breakthroughs and enhancements to overall social, emotional, behavioral, and cognitive functioning often occur as a person increases their self-awareness, and acquaints themselves with their full range emotions, contradictory feelings, interpersonal patterns, and defenses. She helps her patients scratch beneath their surface to explore unmet expectations, and unproductive patterns of behavior that keep them stuck and unsatisfied. Kim views the therapeutic process as a personal "journey" and places a strong emphasis on developing a trusting relationship with her patients, which she deems as vital to growth and symptom reduction. Kim believes in every person’s ability to live successful, fulfilling lives. Her sessions are laid back, relaxed, and she can assist patients in finding the humor or silver lining in difficult situations. She is passionate about empowering individuals, and helping them recognize their own strengths and abilities to cope with stress and challenges. 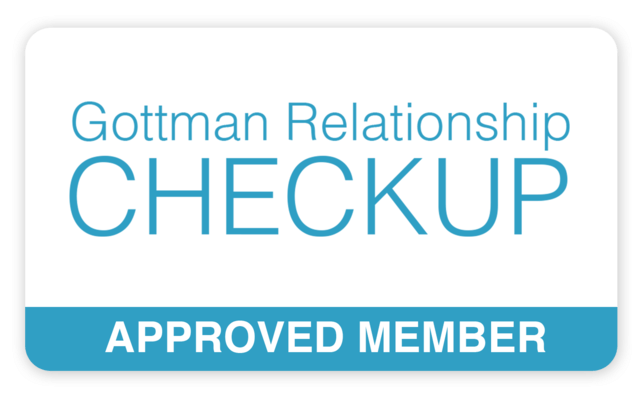 Kim has completed Level 1 Training in Gottman Method Couples Therapy, and she uses Gottman Method Couples Therapy in her work. During the initial phase she conducts a thorough assessment of a couple's relationship strengths and areas that need improvement. Couples will complete oral history interviews, an online questionnaire, and Kim will observe the way they typically deal with issues together. A treatment plan is developed, and follow-up sessions are designed to help couples modify how they approach and dialogue about conflict, enhance their friendship, and create shared meaning. Kim’s earlier professional experiences include providing mood and behavioral treatment for adolescents in a partial-hospitalization program, treating adults suffering from severe and persistent mental illness in an out-patient program, developing a psycho-educational program for adolescent females in the Juvenile Justice System, and teaching clinical helping skills to Master’s level social work students. Additionally, she worked for twelve (12) years at Lehigh County Office of Children & Youth Services, where she specialized in providing therapeutic and crisis intervention to at-risk youth and families affected by all forms of abuse, mental illness, substance dependence, parental separation, and challenges of daily life. Kim’s passion for family preservation made her successful in helping parents overcome obstacles that inhibited their ability to effectively raise children and live healthier, more productive lives. Her empathy and appreciation for the challenges her clients faced sparked a desire to reduce associated stigmas, and help them live successfully and independently within their community. Kim also conducted fire-setter evaluations, and served as an Advisory Board member for the Juvenile Fire Setters division within the Burn Prevention Foundation. In January 2016, Kim became the co-owner and C.E.O. of Bethlehem Counseling Associates, along with her husband Paul. In addition to treating patients, she oversees the daily operations of BCA, recruits talented Psychotherapists to join the BCA team, and markets and advertises the practice to ensure BCA remains the premier private practice for counseling in the Lehigh Valley. Kim also enjoys decorating BCA to maintain its inviting, calming, fresh, modern feel. With the addition of administrative duties, Kim can only accept new patients on a limited basis, but she welcomes back returning patients anytime.